I thought it was a good idea for there to be giant monkey for a beast. Adam Blade the author got his inspiration from his own pet monkey called Claw. Also I thought it was good that claw was able to swing through the trees to hide and escape his enemy. Excellent story line and setting to the book. 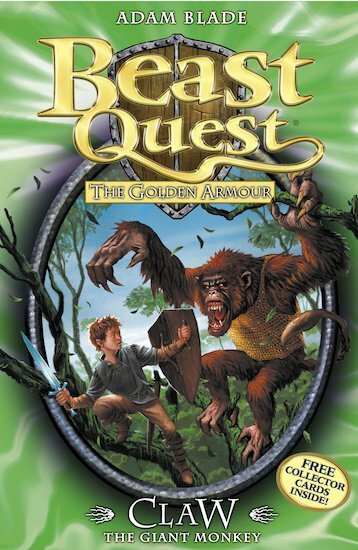 it was so awesome it’s the best beast quest book i’ve read yet. I thought this one was a bit boring.